Ukraine is pushed to "put the question point-blank." The noncompliance of the opposite party with the agreements reached in Minsk aims to stall the whole negotiation process and force Ukraine to "put the question point-blank, says the representative of Ukraine on the negotiations at of the Trilateral contact group Leonid Kuchma. "Looking at the events of the past few days we see that the opposite side does not comply with the agreements. It looks like this has a sole purpose of disrupting the whole of negotiation process. I do not think that small commanders are behind this. This is a serious political decision that will lead to very serious consequences," Kuchma told reporters on 30 September while on a working visit to Zhytomyr region. In addition, this situation should be brought to the attention of international community, first of all, of the leaders of Germany and France, which are part of the Normandy format, Kuchma said. 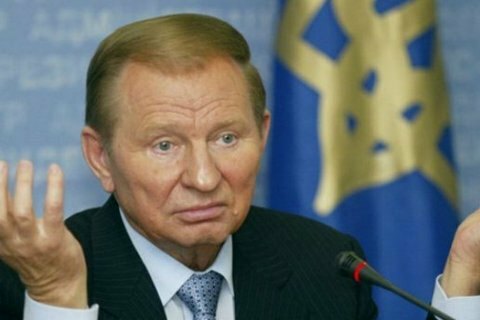 When asked about the so-called "primaries" at the "elections" in the self-proclaimed Donetsk People's Republic (DPR), Kuchma said: "If they do it, they will show that there can be no dealing with them indeed. This is the conclusion to be drawn from such statements." As reported, the Trilateral Contact Group meeting in the videoconference format planned for September 30 did not happen due to refusal of the Donetsk representative to participate in it. It was reported that on September 21 members of the Trilateral Contact Group for Ukraine signed a framework document on disengagement of the Donbas conflict sides' forces and hardware in three sectors. The document proposes the creation of three security areas on the Donbas contact line near the populated localities of Zolote, Petrovske and Stanytsia Luhanska, each on an area of at least four square kilometers. OSCE SMM observers should monitor the implementation of the agreements. The disengagement process is set to begin on October 1. The OSCE SMM and the Joint Center for Control and Coordination will monitor it.